Approximately one week after your session, your images will be available for viewing via Online Gallery. Please let us know if you would like an In-Person Ordering Session. Ordering sessions are available upon request and held by appointment only. 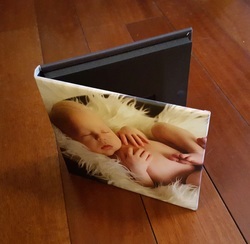 General Prints, Canvases, Wood & Metal Prints, Custom Photo Albums, Photo Cards & Announcements, etc. Print pricing begins at $10. Digital images are available for $25 each. available in the studio and via your online gallery. Custom USB Cases are printed on one side with your favorite image. A USB Drive is included with all digital images purchased. Have your favorite session image made into a beautiful necklace or bracelet.